The football showdown between Japan and Greece ended in a scoreless draw, but the Japanese fans scored top points from the clean-up crew after leaving the stands of the stadium and its bathroom unblemished. 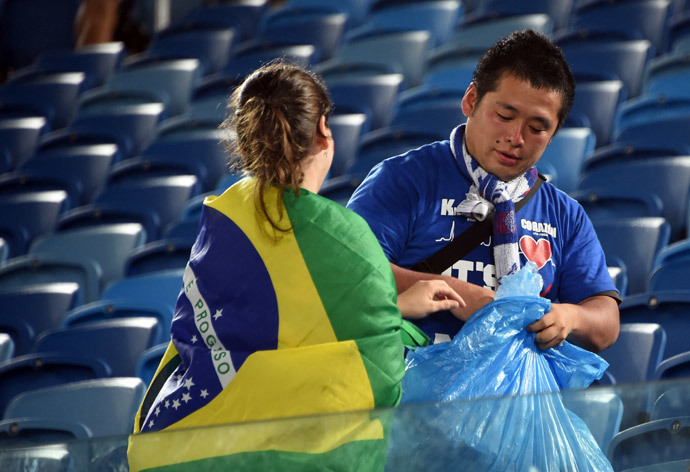 It turns out that Japanese football fans have a tradition of cleaning up the stadium after matches at home, a practice which the fans vigorously undertake in Brazil. “It's our tradition. Living without waste is much better,” said business consultant Kenji Yoshida, who lives in Los Angeles. He and his wife Haruko Yoshida were among the approximately 15,000 Japanese who rocked the Arena das Dunas with shouts of “Nippon!” meaning Japan, in their native language. The World Cup is an opportunity to learn from different cultures and the national team, also known as Samurai Blues, are setting the benchmark. 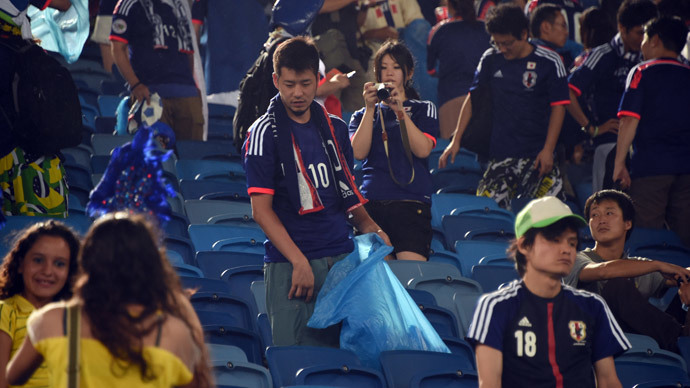 Even after the Samurai Blues lost their opening match in the Pernambuco Arena to Côte d'Ivoire, Japanese fans stayed after the match to clean up the empty stadium. In Japan it is considered appropriate to clean up after yourself at public events such as concerts, sporting events, and festivals. Some even take the trash home if there is no place to dispose of it on the spot. Moreover, it is common after eating in a restaurant, to clean your table, leaving it the way you found it. “We have started this tradition a few games ago or a few World Cups ago. We try to do little bit of clean-up to show respect to the host country and just, you know, show off how clean things are in Japan. 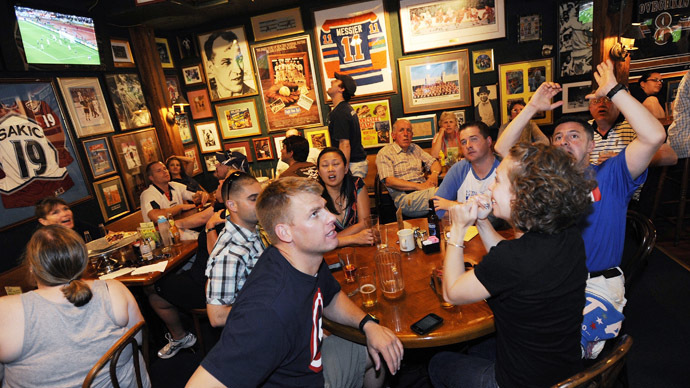 And we like to make it so here, too,” Japanese football fan Kei Kawai told NPR.